Will the bangs suit you? Hair stylists claim that bangs are a timeless trend. They have been shaping our faces for centuries and surely deserve to be counted as a flexible fashion. Well-matched, the bangs can look good on everyone, regardless of their age or hair length. The only difficulty is to analyse your face and find the right cut which enhances your beauty strengths and at the same time conceals imperfections. Well-matched bangs can perfectly enhance the facial features you want to emphasize, like cheekbones or eyes. On the other hand, they can optically minimize any imperfections resulting from irregular face shape or skin problems (acne, scars or wrinkles). Everything you want to hide can be hidden by bangs. A good cut will soften the contour of the square jaw or improve the face line by hiding the high forehead. Bangs can dramatically change your face or even make it look younger. However, if you get bored with your bangs, you can always comb the hair aside and wait for it to grow. And finally, the bangs are first and foremost an eye-catching change of appearance. Are you in? 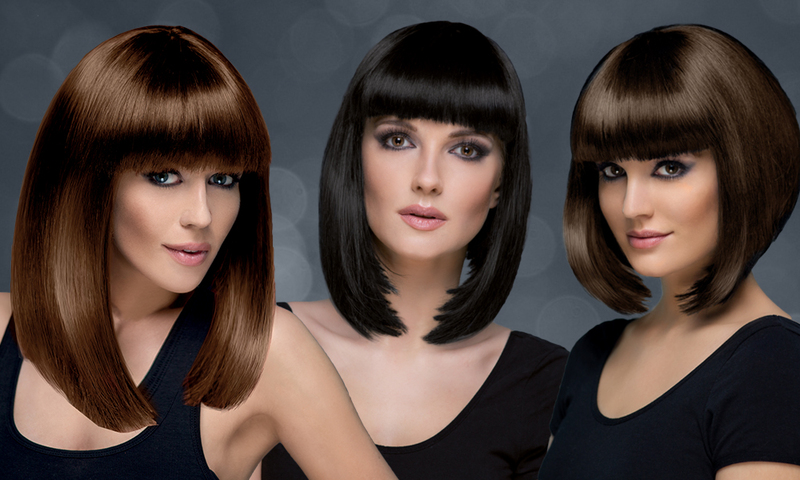 Although the bangs can suit almost anyone, we advise you to consider your hair condition before you make any decision. Think twice if your hair is nowhere near thick, because to create bangs with thin hair you start cutting hair from the center-top of your head and it might turn out in the process that you have not enough hair to get the bangs you want. Make sure your hair is not too unruly, too curly or too hard to tame – the hairdresser can always give you flawless bangs at the salon, but remember that you need to be able to style it on your own every day. Also, take into account the thickness of your hair and the aura outside: in the summer, too thick and too heavy bangs covering the forehead will make it difficult for the skin to breath, which might lead to excessive perspiration and consequently, greasy-looking hair. If you want the bangs to look good on you and work well with the rest of your hair, you have to devote some daily time and attention to styling and at all times avoid greasy look. If you have finally decided to have bangs, now it’s time to have a closer look at your face in the mirror. Comb your hair backwards to reveal the entire shape of your face. Let’s begin with a forehead – check whether your four fingers, put horizontally, fit between the brow line and the hairline. If they fit perfectly and cover the entire forehead, you don’t really need bangs, since the proportions are close to ideal. It doesn’t mean that you can’t have bangs, though! It all depends on your idea of the hairstyle. 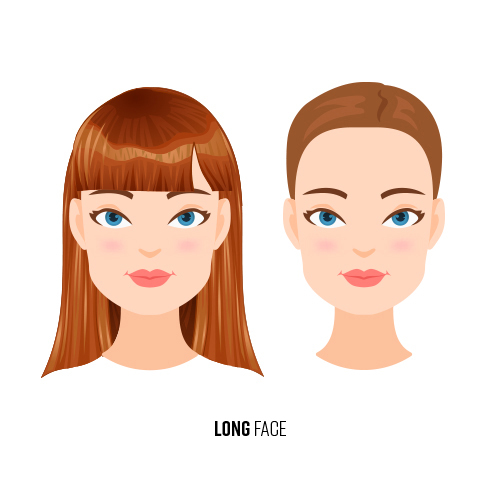 If your fingers do not cover the forehead or go beyond the brow and hairline, then you can easily correct any asymmetry and enhance the appearance of the face with well-cut bangs.The next step is to measure the distance between the cheekbones, along the jaw line, and along the forehead. Now compare it to the distance between the hairline and chin. 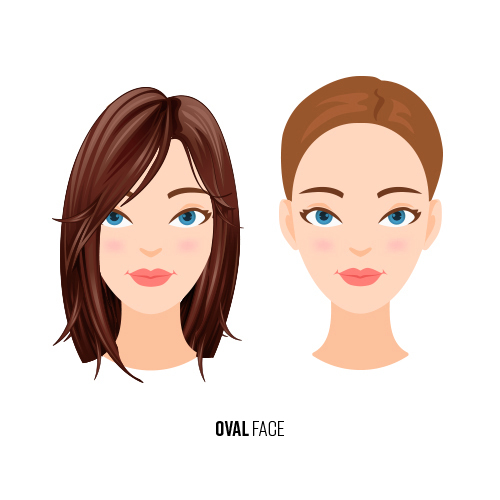 If the face length corresponds to one and a half width = oval face. If length equals width = round face. Face much longer than wider = oblong face. Among the main types of face shapes, you can also find triangular, square, heart shaped, pear and diamond shaped. Careful analysis of your face not only helps you to find the right hairstyle, but also makes it easier to choose proper make-up or accessories. Oval face is usually narrow, slightly oblong, with a rounded jaw line, prominent cheekbones, and a broad forehead; oval is considered to be the perfectly proportional shape of face with many possible bangs choices: long, short, blunt, side-swept, symmetrical and asymmetrical. However, if your face is not perfectly oval and has rounded cheeks, avoid short bangs, since such cut will emphasize their fullness even more. In this case you should choose medium-long hair and the parted or side-swept bangs. If your eyes are set close to each other, choose in favor of blunt bangs covering the eyebrow line. Oblong face is most often associated with high forehead and long chin. The bangs might optically reduce the difference between the too long, pointed chin and the high, convex forehead; they will also soften the features and emphasize the cheekbones that tend to be too flat; the narrow face will optically gain some width and roundness. With this face shape, you will look most becoming in thick, blunt bangs, both short and longer, that cover the eyebrows. Arched, straight with slightly layered ends, parted or side-swept bangs also are options to be considered. 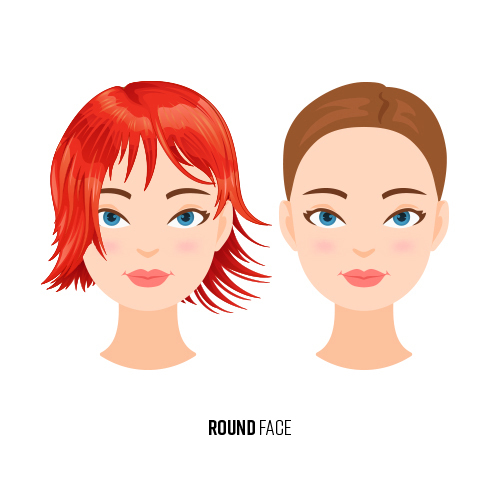 Round face is characterized by scarcely visible cheekbones, rounded jawline and optically flat facial features. 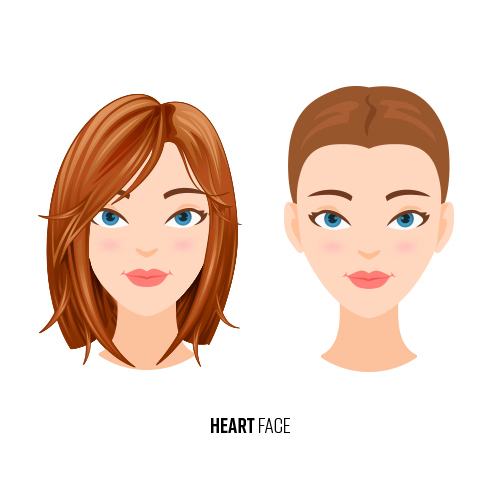 If this is your face shape, you should avoid heavy, straight-cut bangs that cover the entire forehead, because such a hairstyle additionally emphasizes the roundness of the face. The bangs should neutralize the chubby appearance, visually slimming the face. The best haircut here is the side-swept bangs, might be slightly layered, beginning at the parting and layered alongside the face line. 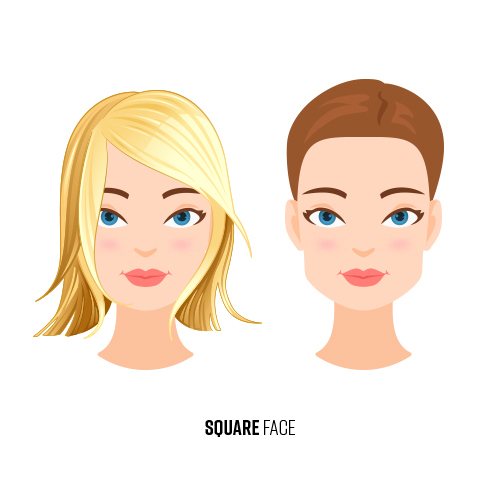 Square face is a shape whose most characteristic features are the high forehead, prominent chin, wide square-shaped jaw line, and straight hairline. This type has equal proportions between the length and width of the face, which enhances the impression of geometry. The perfect choice of haircut for this type of face is layered and choppy hair, best if curly or wavy, which will soften the sharp lines and edges of the face. The bangs should be choppy, preferably long and side-swept or cut diagonally, as this will make the face appear longer and the features softer. Avoid blunt and arched bangs, because straight lines enhance the optical angularity and sharpness of the face. 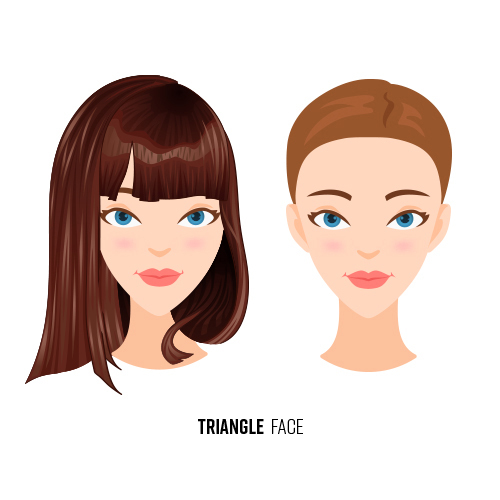 Triangular face is formed by a narrow, pointed chin and optically wider, upper part of the face. Asymmetrical cuts and hairstyles with a parting can effectively distract attention from the asymmetrical parts of the face. The best choice will be slightly layered, side-swept bangs. You can also choose short bangs, blunt-cut or diagonal, symmetrical or asymmetrical. Straight and smooth bangs, reaching down on the eyebrow line will distract attention from the pointed chin, at the same time emphasizing the eyes. Heart-shaped face resembles an oval shape, but below the cheekbones it becomes narrower, ending with a pointed chin. Avoid short haircuts and bangs that will draw extra attention to your broad forehead. The best hairstyle for you are long, side-swept bangs, reaching the cheeks, which will enhance your facial features, without making them optically longer.